By the time the first company of American Board of Commissioners for Foreign Missions (ABCFM) Protestant missionaries arrived in 1820, Kamehameha I had died and the centuries-old kapu system had been abolished. The Hawaiian people had already dismantled their heiau and had rejected their religious beliefs. The missionaries, less the group left on the Big Island, landed at Honolulu on April 19, 1820. 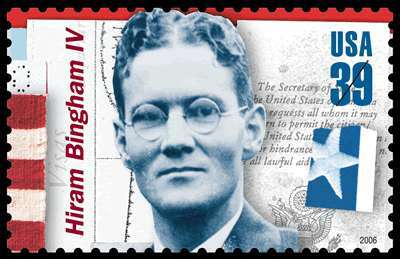 On the sabbath (April 23,) Hiram Bingham, the leader of the group, preached the first formal Protestant sermon in the Islands. Initial services were in thatched structures. Later, a more permanent church was built. In July, 1821, they began to build a 22 by 54-foot building, large enough to seat 300. This first church building was built of thatch and lined with mats; however, it had glass windows, doors, a wooden pulpit and 2-rows of seats, separated by an aisle. In August of that year, Captain Templeton presented a bell from his ship to be used at the church. Within a year, Hiram Bingham began to preach in the Hawaiian language. 4-services a week were conducted (3 in Hawaiian and 1 in English.) Congregations ranged from 100 – 400; by the end of the year, the church was expanded. On May 30, 1824, the church burned to the ground. Within a couple of days after the fire, Kalanimōkū ordered a new church to be built at public expense. A new thatched building (25 by 70 feet) was placed a short distance from the old; it was dedicated July 18, 1824. Interest in the mission’s message outgrew the church and services were held outside with 3,000 in attendance; efforts were underway to build a larger facility, to accommodate 4,000. The last of the thatched churches served for 12-years. It measured 63 by 196 feet (larger than the present Kawaiahaʻo Church) – 4,500 people could assemble within it. Kawaiahaʻo Church was designed by its first pastor, Bingham. Following five years of construction, Kawaiahaʻo was ready for dedication ceremonies on July 21, 1842. The grounds of Kawaiahaʻo overflowed with 4,000 to 5,000 faithful worshippers. King Kamehameha III, who contributed generously to the fund to build the church, attended the service. “The Little Church at Waikīkī … The congregation which has worshipped in this church is numerous but poor …. The pretty little church among the cocoanuts is besides a prominent ornament to the neighborhood”. It turns out the Waikīkī Church was a venue for many concerts, to raise money for the Waikīkī property, as well as Kawaiahaʻo in downtown – and they had frequent royal guests. In 1916, Kawaiaha‘o sold the cemetery land around the Waikīkī ‘āpana (branch) church to the Territorial Hotel Co, Ltd, owners of the Moana Hotel. Kawaiahaʻo Church took the responsibility “to remove all remains and coffins buried in the church yard (so far as practical) and re-inter them in some cemetery or cemeteries in the district of Honolulu,” with the costs of the removal to be borne by the Territorial Hotel Co.